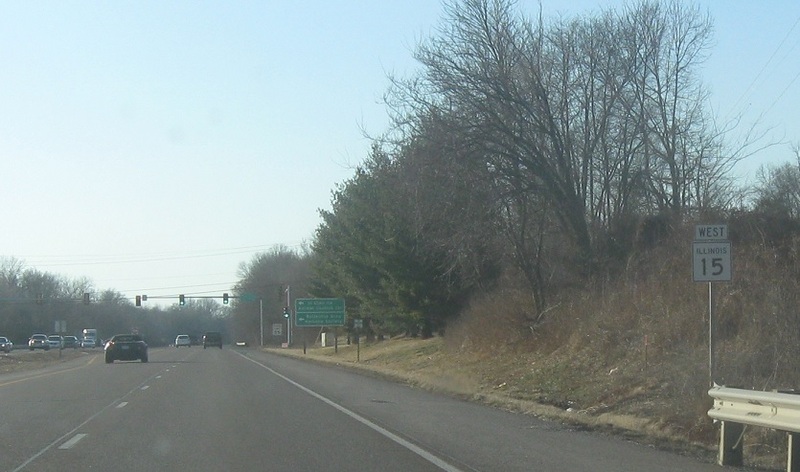 Reassurance shield after the 158 junction. 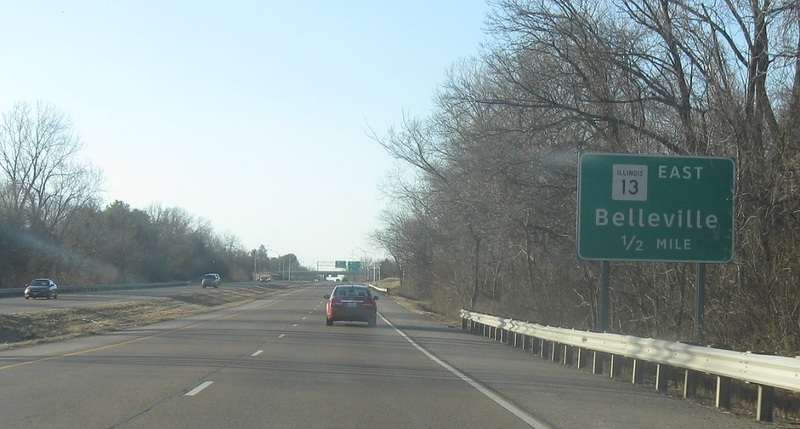 Shortly thereafter, we’re a mile from Route 13 again. 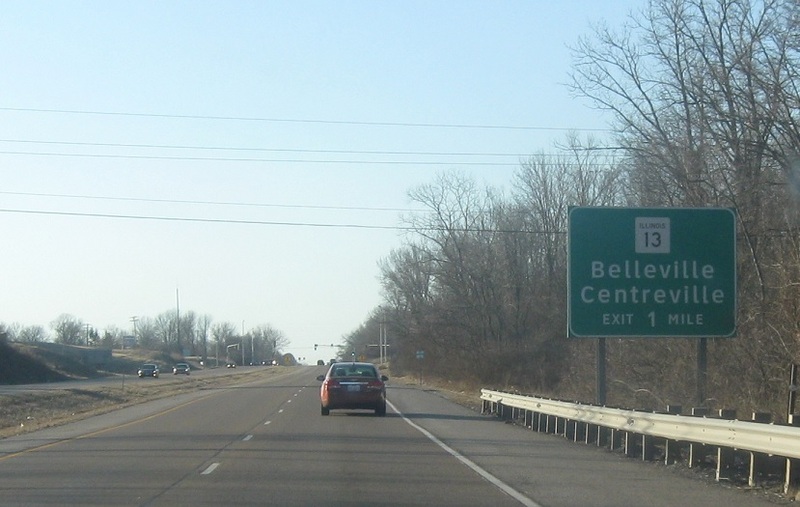 In a half mile, we’ll cross Route 13 again. 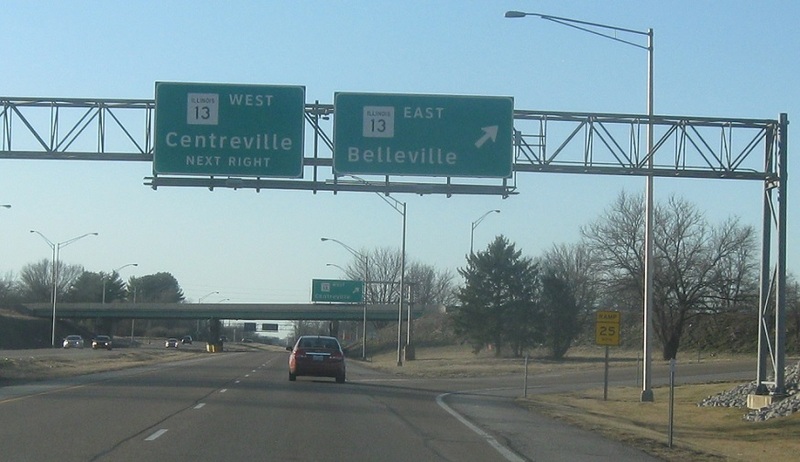 Exit for 13 east into Belleville. 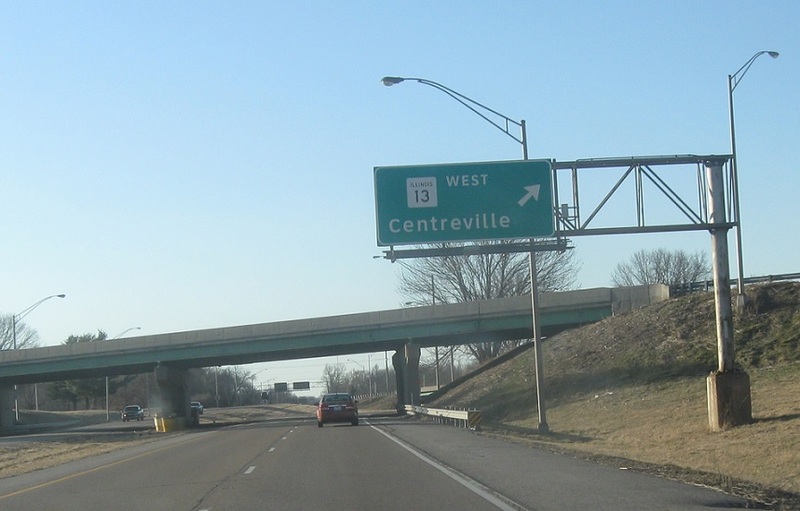 Exit here for 13 west to Centreville.